You are at:Home»Business & Politics»Analysis: Deal or no deal? Analysis: Deal or no deal? The prospect of a no-deal Brexit could become a reality if a breakthrough is not made by March 2019. What could it mean for the UK poultry industry? With only six months to go until Britain’s departure from the European Union, the dreaded scenario of a no-deal Brexit is looming ever larger. With a divided UK government battling itself as much as EU negotiators, and Brussels seemingly determined to set an example as a warning to other nations, what initially seemed an unlikely prospect looks an ever-increasing reality. But what would it mean for the British poultry industry if Britain goes it alone with no deal in place? What do producers need to prevent the most disastrous forecasts coming to pass, and could there be any positives to come out of it? The British Poultry Council has warned that there could be a devastating impact on the cost of food as a result of the loss of workers in a sector where nearly 60 per cent of the 37,300 direct employees – not to mention the 87,000 wider jobs the sector sustains – are EU nationals. There have been many attempts to recruit more Brits, but it feels like a losing battle to hire locals for the task of, say, catching turkeys. The government has so far refused to offer any firm commitment that the agriculture industry will have access to a new scheme to recruit labour from either the EU or further afield after Brexit. That’s particularly troubling given that there are already widespread reports from farms that EU workers feel both unwelcome in this country and uncertain about whether they can stay long term, leading to a marked decline in the availability of labour. The BPC has called on the government to recognise food as a special case and treat it as a national security issue to avoid the emergence of a two-tier food system whereby lower-income families have to rely on lower-standard imports. “We need the government to devise a food strategy that enables EU nationals to fill vacancies in our sector that cannot be filled with EU workers, and that recognises the importance of food and the challenges it faces in being an essential yet perishable product,” says Griffiths. With fears that a no-deal Brexit could adversely affect farm incomes in the poultry sector, the NFU recently completed an impact report looking at how different scenarios could affect producers across five key areas: farm payments, labour, trade with the EU, trade with the rest of the world and regulations. The report analyses three likely outcomes, which it has dubbed ‘Evolution’, ‘Unilateral Liberalisation’ and ‘Fortress UK’, with the three tiers covering scenarios from a comprehensive deal and close working relationship with the EU through to a cleaner split that will see the adoption of WTO tariffs and a reduction of labour availability. The study agrees that labour is the most crucial issue for both broiler and free-range producers, with broiler enterprises facing the scenario that the increased cost of labour could wipe out any potential price increases caused by different trade situations. On trade itself, it is expected that tariff levels for both imports into the UK and exports to foreign markets could lead to significant price changes for different segments of the poultry meat and egg market: whereas the free-range shell egg market is largely insulated from changes in trade relationships, for example, the wholesale and processed markets are much more vulnerable. Farm payments and regulation are expected to have less of a bearing on incomes for both broiler and free-range enterprises. Top of the wishlist for the NFU is access to labour and markets – specifically the EU market – according to Rebecca Hesketh, the union’s EU exit and international trade adviser. “We see the best option as having frictionless trade [with the EU],” she tells Poultry Business. “For poultry meat we rely on carcass balancing. There’s high demand for white meat in the UK but in other markets there’s greater consumption of dark meat.” The UK industry also wants to see its animal welfare and production standards protected so it is not undermined by cheap imports. Other issues include the question of logistics, with dire warnings of huge tailbacks at ports as authorities become overwhelmed with inspections and paperwork if there is no frictionless trade deal in place. It’s hard to find positives in what is a murky future. One clear bonus would be the potential to reinforce the British brand and put domestic production at the heart of a new British Agricultural Strategy. That’s all well and good, but farmers need the tools to ensure they can deliver. 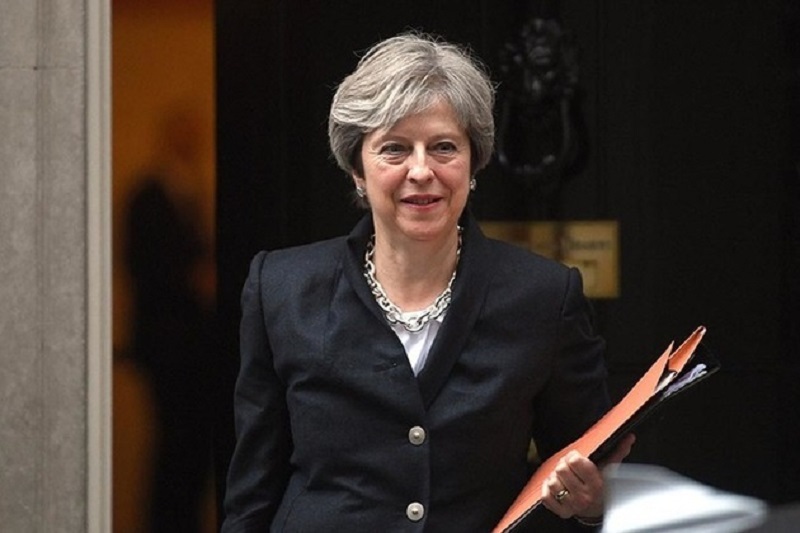 The government still believes a deal could be struck as early as October, but while many would consider that optimistic, the clock is ticking for clarity ahead of what will be a monumental 2019 for Britain.